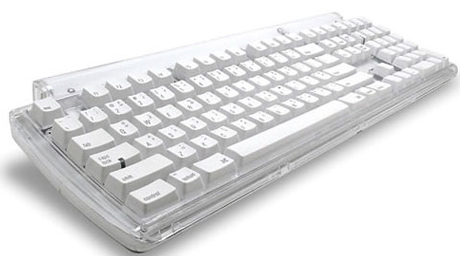 Fact: Nearly all keyboards sold bundled with computers or at retail stores use rubber domes under their keys. This is the same technology used in cheap TV remotes. They're made to be as cheap as possible to manufacture in order to maximize profits. Yes, this even includes "high end" keyboards. So why settle for something that is made as cheap as possible? So Why do YOU want a Mechanical Keyboard? For most people it's all about the feel. 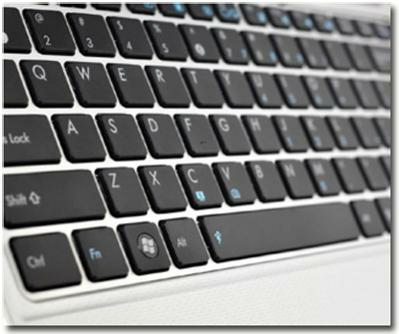 With the keyboard you're typing on right now you've got to press the key all the way down to the bottom to get it to register. This wastes a lot of energy and causes fatigue, as most of your effort is spent pushing against a solid piece of plastic. Mechanical keyswitches are designed so that they register before you bottom out, so you only need to apply as much force as is necessary to actuate it, not wasting any. And with as many different types of switches as there are you can pick and choose which one you're the most comfortable with, as each one has a different feel to it. And most people who try one can never go back to using rubber domes, as they realize just how "mushy" they really feel. PS/2 wins on three fronts: First, it supports full n-key rollover. Second, PS/2 keyboards aren't polled, but are completely interrupt based. And third, it is impossible for it to be delayed by the USB bus being used by other devices. There are two types of USB transfer modes - the interrupt transfer mode (USB polls keyboard, when key is sensed the USB controller sends the interrupt to the CPU), and the isochronous transfer mode, which reserves a certain amount of bandwidth for the keyboard with a guaranteed latency on the bus. Unfortunately, there are absolutely no keyboards made that use the latter, because special controllers would have to be used, thus making it cost prohibitive. Introduction - A Switch is Not "Just a Switch"
Many people ask for recommendations about switches without knowing exactly what they are looking for, but instead only with an idea of what their needs are. Fortunately, this is not always a problem because most mechanical switches will always feel nicer than rubber domes. However, the final choice is very important because a switch is not just a switch; it is the heart of what makes your keyboard have its feel and your personal tastes can make or break a keyboard for your uses. If you don't like the switch when you type on it, most likely, you won't ever like the keyboard. Switches are generally rated by force using the weight measurement of Grams (g). Although force is more accurately described using Centinewtons (cN) However, 1g of weight applies about 1cN of downward force, so we can use "55g" when describing a 55cN-rated switch because that is sometimes easier to understand. For this fact; we'll use Grams as a measurement of force; though either term is correct. Cherry MX-Black switches are linear (non-tactile) switches, these are considered one of the best switch types for gaming. When gaming, having a tactile bump does absolutely nothing because you're going to be bottoming out anyway. So these give you a very smooth feel. The actuation and release points are at the exact same position as well. So games that require a lot of double tapping become easier than on any other keyswitch. However, most people don't enjoy typing on them that much do in part, to their linear nature. If you're a person who tends to hit a wrong key every so often while gaming, these will be beneficial in that the high actuation force will help prevent many of those accidental presses. 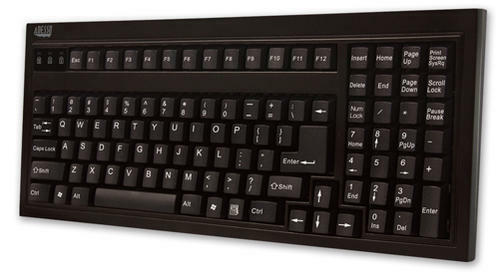 Cherry MX Brown switches are considered a middle ground between typing and "gaming" switches. They have a light, tactile feel half way through the key press that lets you know the switch has activated. This gives you an indication of what you can release the switch. The switch is considered a middle ground because the reset point & actuation point are close enough together than you can "float" at that point, enabling you to double tap faster. As a note: this switch actually has a peak force of 55G, it is 45G at the point of actuation. This is due to the design of the Cherry switch itself. Cherry MX Blue switches are the best cherry switch for typing. The tactile bump can easily be felt, and the resistance is similar to your average keyboard. Although many people find them just fine for gaming, some don't like the fact that the release point is above the actuation point. This can cause some trouble with double-tapping. This is usually the case with someone who has experienced other mechanical switches before hand. As a note: this switch actually has a peak force of 60g, it is 50g at the point of actuation. This is due to the design of the Cherry switch itself. Cherry MX Clear switches have often been called "stiffer browns" though some users note that they have more of a tactile feel than browns do. This really can be a subjective topic, though this is another switch that could be considered "ballanced." The force required is comparable to most rubber dome keyboards, with a nice tactile feedback to tell you the key has actuated. These switches are harder to find on keyboards. As a note: this switch actually has a peak force of 65g, it is 55g at the point of actuation. This is due to the design of the Cherry switch itself. Cherry MX-Red's are another switch that can be considered a "gaming" switch. It's essentially a lighter version of the MX Black, requiring less force to actuate. 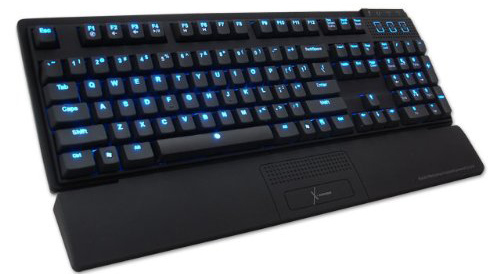 Most people do not find this switch that good for typing or gaming because it is so light. This switch is hard to find; and was reported as obsolete. Though some board makers still use it for Special Edition keyboards. Buckling springs are pretty straightforward once you see them in action. After pushing the key down a certain distance the spring buckles under pressure, causing the hammer at the bottom to hit a membrane sheet and create an electrical contact. The buckling of the spring also provides tactile feedback and a satisfying click as it hits the shaft wall. And you might also notice through the force diagrams that this is the only mechanical switch where the tactile and audible feedback correspond to the exact moment the switch actuates. 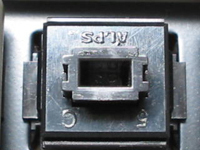 Black Alps are one of the two most common Alps switch types. 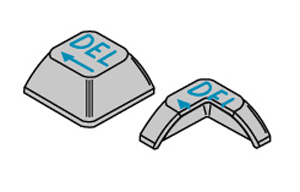 Many people do not like these switches due to the fact that they are stiff, bottom out hard, and tend to develop friction in the travel as they wear. 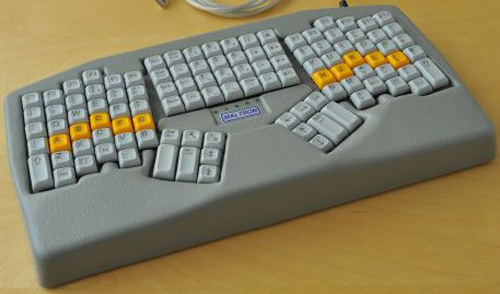 Nonetheless, they are an improvement over most rubber dome keyboards. There are two different types of Black Alps switch - an older type known as the "Complicated" due to the large number of parts in the switch, and a newer type known as the "Simplified", which was manufactured by Alps and some other companies. 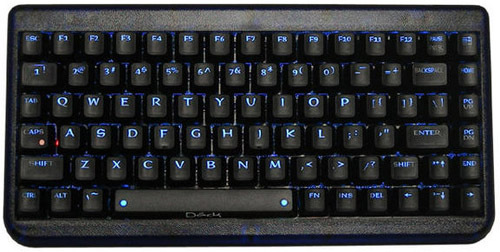 Complicated switches are common in many older keyboards, particularly the Dell AT101W, which is a very common mechanical keyboard from the 1990s. The most well known Simplified Black switch is made by a company called Fukka, and was used in the ABS M1. The Fukka switch has less resistance, but many claim that it provides less solid tactility than the complicated switch. 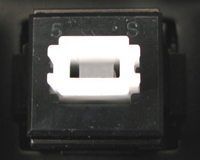 White Alps are one of the most most common Alps switch types. These are far more popular than the Black switches due to more pronounced tactility, and the lower force requirements of some versions. Like the Black Alps, White Alps are much easier to bottom out on compared with other mechanical keyswitch designs. As with the Black switch. there are Complicated and Simplified White switches. The two most popular Simplified White switches are the Fukka and the XM. 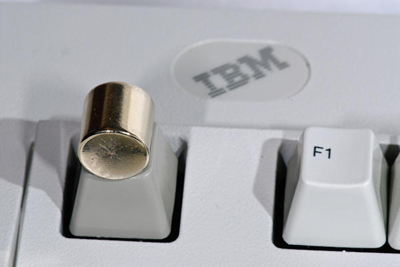 The XM is almost universally considered to be a terrible switch, it was used on some older Filco Zero models, and some vintage keyboards. The Fukka switch is quite popular, and some people prefer them over the Complicated switch. It is used on some current production Alps keyboards such as current production Filco Zeros, Matias keyboards and some others. Complicated White switches were used on some well made keyboards from the 90s such as the Northgate and Focus keyboards. There are also a variety of White Alps-like switches of varying quality. Some, like the SMK Monterey, are considered very pleasant to type on..
Topre switches are somewhat of a hybrid switch, and are capacitive by nature. The Topre mechanism uses a spring underneath a rubber dome, and the depression of the spring causes a change in capacitance between the underlying capacitor pads. With this change in capacitance; the switch activates. Topre Switches are considered some of the finest switches available, as they offer a very enjoyable typing experience with a quieter experience compared to a Cherry MX, Alps, or Buckling Spring switch. The reason is Topre switches have the smoothest force gradient even compared to Linear switches like MX-Reds and MX-Blacks. 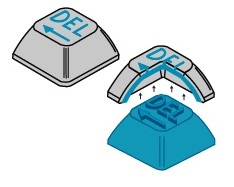 Cylindrical - Almost all keyboards today use this shape. This is often referred to as sculpted design. The shape is meant to cradle the finger tip. Flat - Frequently found on laptops and "laptop style" keyboards. These are also found on PointOfSale (POS) keyboards because of the replaceable legends. This is the type of printing you'll find on 99% of keyboards. It is the cheapest method possible, short of leaving the keys blank. Pad Printed letters are kind of like stickers, or decals, and you can feel the letter raised above the key surface. Dye Sublimation produces much nicer keys than either of the other two printing methods. A dye is set into the plastic, and seeps a tiny bit into it. So even as the plastic starts to wear off from use, the letter remains as good as new. Unfortunately, because of its cost, the only companies left that use it are Topre, Cherry Corp, and Unicomp. This method of printing results in the highest quality keycaps possible. The edges of the letters are perfectly sharp, and it achieves the highest contrast, clearest lettering possible. Unfortunately, because of the very high price, only TG3 Electronics (Deck Keyboards) still uses this method on their keyboards, and Fentek and Signature Plastics can create custom caps with it. The easiest way to verify if a key is double shot molded is to check from underneath. You will be able to see the two different colored plastics. This is a small overview of easily available Mechanical Keyboards in the US, please do not use it as the end all be all resource but I hope it is helpful in reference material and choosing a proper keyboard for your needs. 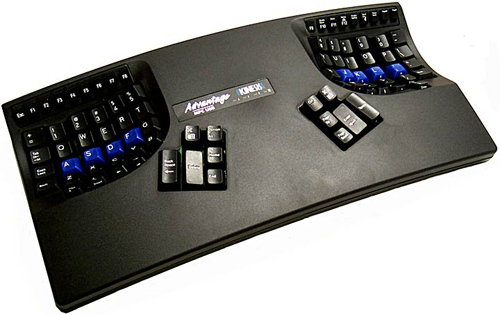 Extra Features: Detachable USB Cable, Fn Media Keys, Swappable Caps Lock & Control, Windows Keys Disable, 4 macro keys, Windows Key & Alt keys switchable. Drawbacks: No PS/2 adapter included. Other: Red plate under keys looks sharp in normal light. Drawbacks: Switches are susceptible to dirt in them causing problems. Other: Reported as Nylon keycaps, durability may be a concern? Drawbacks: Requires the addition/removal of a resistor on the controller PCB to switch between USB and PS/2. Is also larger than other mechanicals. Other: The warranty allows for modding, and they encourage it. 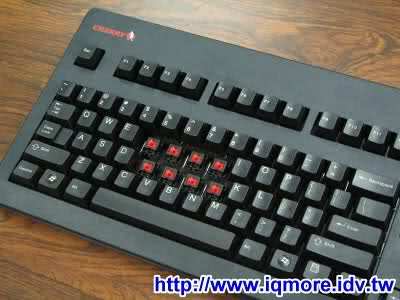 Deck is a subsidiary of TG3 Electronics, which also makes mechanical keyboards. Other: The warranty allows for modding, and they encourage it. 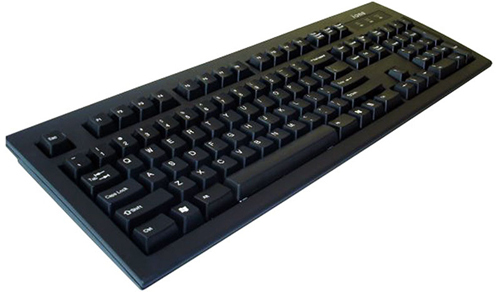 Deck is a subsidiary of TG3 Electronics, which also makes mechanical keyboards. Backlight colors other than blue are no longer in production. Other: 1000hz polling not known to benefit the board in anyway. Extra Features: Large Font is very easy to see. Other: Some production runs of older versions (2.0 and 1.0) have a ghosting problem, so avoid buying those used unless the seller can confirm he has a fixed one. Other: Altered layout can be hard for some to use. Other: The white model has a Polystyrene casing with PBT keycaps, the black model has an ABS casing with POM keycaps. ), U9 & U9W models may be available in the future. Drawbacks: Some concerns about keycap durability, glossy surface holds dust and oil (fingerprints) easily. Every once in a while you may want to clean your keyboard. There are many ways of doing this, and can take anywhere from a few minutes to several hours depending on how much dirt you're trying to get out of it and exactly what needs to be cleaned. If you've just spilled a can of Pepsi on your board and don't know what to do, you've come to the right place. A good PC tool to have right now is the DataVac as it can replace canned air and compressors. Keyboards can get dirty pretty quickly. I mean, let's be honest here; it's not like most of us actually wash our hands every single time we're about to sit down at the PC. And on top of that there's always dust and hair that can fall in-between the keys. So it's always good to give your board a quick cleaning every week or two. Use canned air (or an air compressor if you don't care for convenience) to blow out any loose dust or dirt from underneath the keys. Wipe the keytops and casing down with a clean cloth, dampened with isopropyl (rubbing) alcohol. 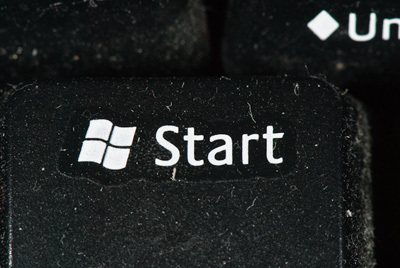 Pay extra attention to any keys that you might be using the most frequently, such as WASD. Note: On Filcos, use water instead of Alcohol. Filcos have a special coating on them that gets ruined if you use it. If you're a heavy smoker and the casing seems to be yellowing, wipe it down with Windex. Doing these things on a regular basis will keep your board looking great. If you've just gotten a used keyboard off of ebay that looks like it was used at a mechanic shop, or just spilled your drink right into it, your board needs a deep cleaning. If you do ever spill anything into it, make sure you clean it immediately. The longer you wait, the worse the cleanup is going to be - and may end up being next to impossible. Open up the casing and take the PCB/membranes out. Each keyboard is different, but normally there's a combination of both screws underneath the board and tabs on the sides holding the top and bottom pieces together. If you don't have a dishwasher or prefer not to use it, put both the keycaps and casing in a bath of warm water and dish soap, and let them soak for at least a good 30 minutes. Cherry, Alps, and other similar switches: Place the entire PCB+switch assembly into a container of distilled water. Shake the board around vigorously so that the water can clean out the inside of the switches as well. To dry it out, shake it until you no longer hear any water stuck inside the switches. Then set it either on it's side or upside down to dry. Using a blow dryer to dry it is safe as long as you don't stick to one spot for too long, and canned air can help get the water out of the switches very quickly. Membrane boards, including Rubber Domes and Buckling Springs: Separate the layers of membranes, and wipe them down with a damp cloth (distilled water only), and then again with a dry cloth. If the layers are fastened together, dip them into distilled water and flex and shake them around until they are as clean as they can get, then flap them around to get the water out. You may also be able to slip a cloth or paper towel in between them to dry them, but remember to check for any lint that gets stuck. Rubber domes should only be rinsed using distilled water at or close to room temperature (give or take a few degrees) - anything too hot or too cold can permanently alter their feel. The springs, hammers, steel plate, and plastic cover of Buckling Springs shouldn't need more than a quick rinse or wipe-down, but you can always use soap or isopropyl alcohol on them if they need it. Rubber Dome on PCB, such as Topre: Rinse the domes in distilled water at or close to room temperature, rubbing with your fingers if anything is stuck badly to them. If it's a Topre capacitive board, the springs can be cleaned the same way or with a light concentration of dish soap or isopropyl alcohol. Wipe the PCB down with a cloth dampened with distilled water. Whatever sort of internals your keyboard has, put them aside to dry at least overnight. If there were any ICs or other surface-mount electrical components that you had to get wet, a good way to speed up the process significantly is to use canned air to blow the water out from under them. By the time you're done with the internals, the casing and keycaps should be ready. When taking them out of the dishwasher or soap bath, take them out and dry them with a towel one by one. If there is still any amount of dirt on them, rub them down with isopropyl alcohol and/or Windex. Isopropyl normally works better, but Windex gets certain things out without any effort that the dish soap may not have caught in a still bath, such as cigarette smoke residue. Once you're absolutely positive that everything's dry, put it all back together. Click below to show/hide Hidden Text Below! 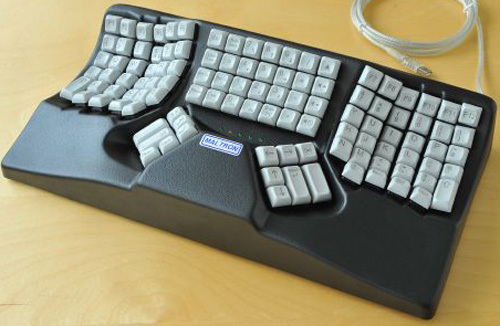 Keyboards use a matrix of wires, in rows and columns. Each key is a switch that connects a row to a column, where each key has it's own unique position, or address, in the matrix. This is a very simple 4-key matrix. You won't ever see something this simple in a keyboard, but for our purposes it's more than enough. To detect keypresses, the keyboard will scan column by column and check to see which rows have been activated. 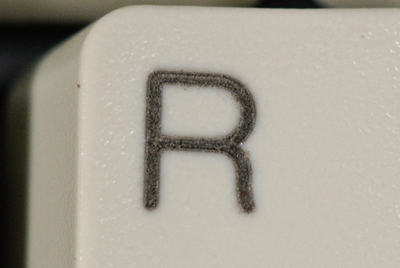 In the image below, when the keyboard activates C1, R1 goes hot and therefore it knows that A has been pressed. When it activates C2, neither R1 nor R2 go hot so it knows that B and D haven't been pressed. Multiple key presses work in the same way. In this image you can see that when C1 is activated, R1 goes hot, giving the letter A. Then when C2 is activated, R2 goes hot, giving the letter D.
But the problem in this matrix shows up as soon as you press three keys at once. In this image A, B, and D are pressed. The B and D switches short R1 with R2 because they are both closed; so when C1 is activated, both R1 and R2 go hot and the keyboard thinks that C has been pressed, and sends it to the PC even though you didn't really press it. 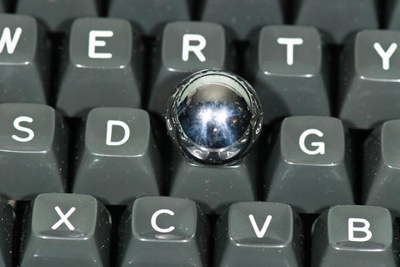 This is what's called a "ghost" key. There are two methods used to prevent ghosting. The first and cheaper option is for the controller to block that third keypress that causes the ghost key. So after pressing A and D, it ignores both B and C because pressing either one will cause the other to ghost. This gives this board 2-key rollover, because only 2 keys can be pressed at once. The other option is to install a switching diode in series with each switch. The diodes only allow the current to flow in one direction, so the rows no longer get shorted to each other. In the image below you'll see the A, B, and D keys pressed again, but this time there are diodes to control the flow. Notice how R2 no longer goes hot when C1 is activated. This method allows for each and every key on the board to be detected independently, giving it n-key rollover (NKRO). It's called n-key because n is a variable, representing the number of keys on the keyboard.